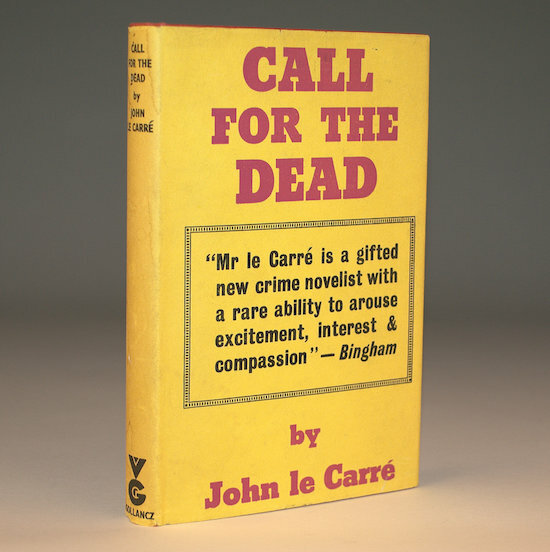 On Episode 006 of the Spybrary Podcast we deep dive into the debut novel of John Le Carre, 1961’s Call for the Dead and the first novel that features the spy legend George Smiley. George Smiley is no one’s idea of a spy—which is perhaps why he’s such a natural. But Smiley apparently made a mistake. After a routine security interview, he concluded that the affable Samuel Fennan had nothing to hide. Why, then, did the man from the Foreign Office shoot himself in the head only hours later? Or did he? The heart-stopping tale of intrigue that launched both novelist and spy, Call for the Dead is an essential introduction to le Carré’s chillingly amoral universe. 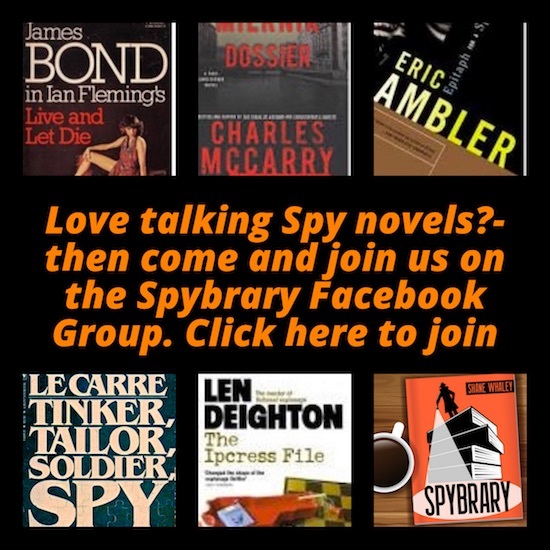 Spybrary Host Shane Whaley is joined by passionate spy literature and movie fan Matthew Bradford of the Double O Section blog. Matthew, a screenwriter in LA is a connoisseur of the spy genre. For the last 11 years he has been blogging about spy novels and spy movies on his Double O Section blog. 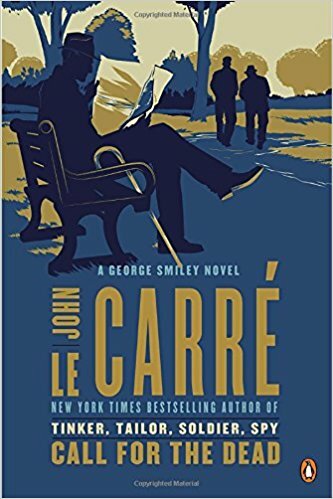 He cites John Le Carre as his favourite author and is working his way through the Smiley series once again in readiness for the new Smiley novel Legacy of Spies to be published later this year. Matthew describes the major characters in Call for the Dead and how he responded to them, this includes insights into George Smiley and Inspector Mendl. Much more on Smiley to come in future episodes of Spybrary! We discuss the plot without revealing too many spoilers (kind of tricky to do as Shane was dying to discuss the ending but decided not to ruin it for those who have not read Call for the Dead yet.) Maybe we need to record a bonus episode where we talk about spoilers and twists so those who have read the book can tune in? What do you think? And Much More including the infamous Spybrary Quick Fire round where Matthew reveals more about his favourites in the spy world. We hope Matthew Bradford will return to deep dive into The Spy who Came In From The Cold with us soon. He is a fount of spy lit and movie knowledge! Please check out his very informative blog, he knows his stuff! Double O Section Blog By Matthew Bradford aka Tanner!